REGION — In the month of February, the Santa Fe Irrigation District (SFID) did not meet its state mandated water usage target. However, according to calculations, water usage was over by 1 percent. Reasons for this spike contributed to unusual warmer temperatures during the month. An unusually warm average high temperature of 74.5 degrees was calculated in the area last month. Despite the warmer weather and water conservation challenges, Parks was quick to share some good news that many may not be aware about. “With the new Carlsbad Desalination Plant online, the district applied for a drought-resilient supply credit towards the state’s conservation target, and was approved,” she said. Originally, the state authorized that the district reduce its water use by 36 percent based on water consumption from 2013. “As of March 1, that percentage has been reduced to 28 percent,” Parks said. Even with this reduction, Parks still urges water conservation tactics since above average temperatures continue. Parks said it’s important to transition landscapes to plants that need less water and can handle higher temperatures. Water conservation efforts are still being enforced. While there is a chance of rain in March along with April showers, the water district is continues to remind customers of the state law, and to turn off their irrigation systems for 48 hours following a rainfall. While plants are naturally watered, in turn, customers will be saving money, she explained. Parks went on to say how some landscapes can go a week or sometimes a little longer without irrigation. So taking full advantage of any rainfall received is golden. “Perhaps most important, water is a precious and limited resource and should always be used wisely,” Parks said. Parks invited water district customers to log onto the website, sfidwater.org, to find rebates and incentives for water saving devices and much more. 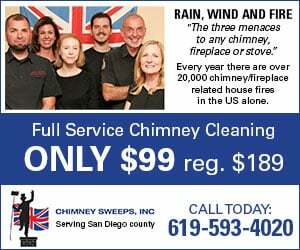 For more information call (858) 756-2424.